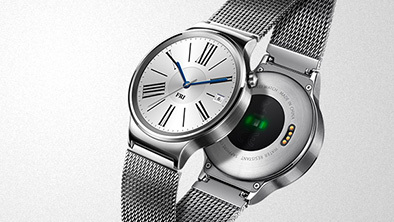 Huawei Consumer Business Group (BG) has today officially introduced the new Huawei watch to markets in Europe at IFA. The watch, with its classic design, inspired by Swiss timepieces, will go on sale in Canada, Germany, France, Spain and Italy this month priced between €399.00 and €699.00 depending on the design features chosen. 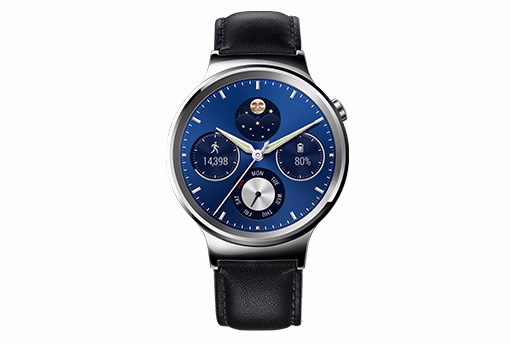 The Huawei watch will also be available for pre-order in the US from today (2nd September). It will go on sale in the UK, Japan and UAE in October and information on further regions will be released later this year. Crafted using sophisticated materials, the watch features a fully circular 1.4-inch touch-sensitive AMOLED display, coated in scratch-proof sapphire crystal (the favoured choice amongst Swiss watch manufacturers), a cold-forged stainless steel frame, and comes with a built-in heart rate monitor and 6-Axis motion sensors. It has a 400 x 400 pixels resolution in 286 ppi at a 10,000:1 high contrast ratio, making it the most vibrant Android Wear smart watch to date. 0 comments on "Huawei watch goes on sale in Western Europe from today"